Make a financially-smart real estate investment, in the center of Barcelona, with potential for own usage. Where and how to start? How to optimise my Return on Investment? How to manage a buying and renovation process from 1300 km distance? Investing in a property outside your home country requires a lot of attention. There are many things involved that are very different from what I was used to in other countries, like the notary, the lawyer, licenses, etc. That is where Inspire Boutique Apartments is there to help. You can save time, money and worries if you take the advice of people who have been familiar with the sector for many years. One of the many people we helped is Geert. Geert wanted to invest in an apartment in the heart of Barcelona to rent out, but also wanted something with character and class, a place where he could spend his holidays as well. 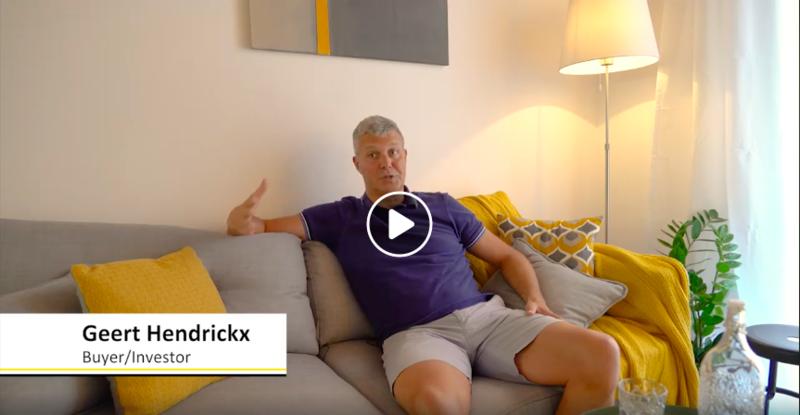 In this 2-minute video, Geert explains his experience working with Inspire Boutique Apartments. Inspire Boutique Apartments © Copyright 2019.